Montana’s capital city, Helena, rests at the very heart of the Big Sky State. Located halfway between Yellowstone National Park and Glacier National Park, Helena has a rich gold-mining history, and it’s now become known as a community of dedicated outdoor enthusiasts. Surrounded by national forests, trout-laden rivers, and broad, sweeping valleys, Helena is a world-class destination for outdoor recreation. Want to see for yourself what draws so many people to Helena? Here are 10 of the top adventures to have in and around this scenic town. Just north of Helena rests the mighty Missouri River, one of the most storied fly-fishing destinations in the world. Explore the river as it winds through the tiny towns of Wolf Creek, Craig, and Cascade, and rig up a rod to chase the river’s more than 6,000 trout per river mile. Anglers can expect to catch healthy brown trout, rainbow trout, and whitefish in the Missouri’s languid waters. CrossCurrents Fly Shop in Helena offers guided trips, equipment, and knowledge of the local waters to help get you started. One of the best ways to savor the Big Sky State is to cruise down a hiking trail. Helena is home to the South Hills Trail System, with more than 80 miles of trails easily accessible from downtown. Start exploring at Mount Helena City Park (try the 2- to 3- hour loop from the 1906 Trail to the Summit of Mount Helena then back down Hogback Trail/Prospects Shaft Trail). Also accessible from downtown, Mount Ascension boasts a summit of 5,282 feet and is a lovely hike for a summer afternoon. Helping you to explore the region is the free Trail Rider, a community shuttle that makes it easy to make the most of outdoor access. The shuttle bus stops at multiple points around the town’s trail system, offering free transportation for hikers, mountain bikers, and trail runners. Helena has trails for both beginners and experienced riders. Helena is recognized as a Silver Level Ride Center by the International Mountain Biking Association, boasting 20 trail heads and over 80 miles of singletrack. Easily accessed from downtown, the trails take riders into the South Hills Trail System as well as all the way to the Continental Divide, allowing access to the famed Continental Divide Trail. 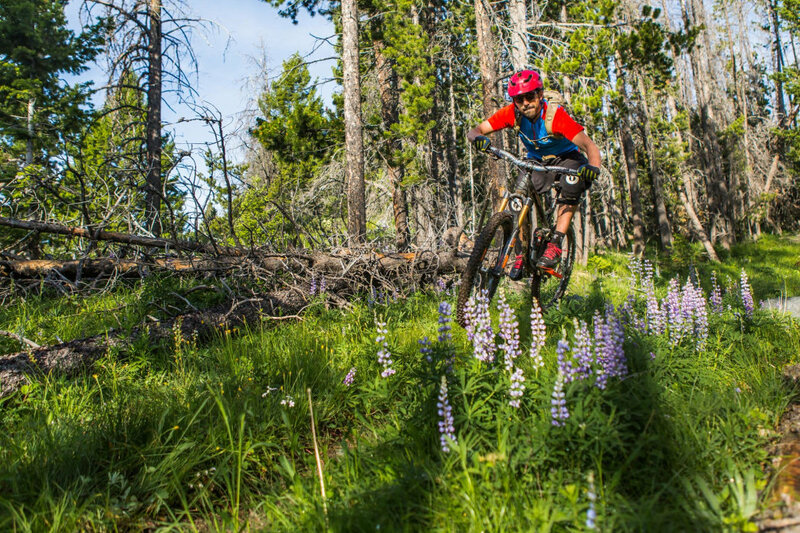 With a variety of short and long rides for athletes of all skill levels, Helena is both a welcoming trail system for newbies and a challenge for seasoned riders. Take advantage of the free Trail Rider shuttle service to access trail heads further from Downtown and enjoy a hike back into town, having one-half of your route covered by the shuttle. In the past decade, Helena has seen a boom in the microbrewery scene, dovetailing conveniently with the area’s love for outdoor recreation. What better way to end a thrill-filled day than to cool off with a local brew and good food? Explore Blackfoot River Brewing Company, the Lewis & Clark Brewing Company, and Ten Mile Creek Brewery, which brews its beer using water from local Ten Mile Creek, noting “the creek is in the beer.” Whether you prefer ales, lagers, or IPAs, Helena’s craft breweries have you covered. Two new micro breweries, Snow Hop and Crooked Furrow are scheduled to open soon, adding to Helena’s microbrewing scene. 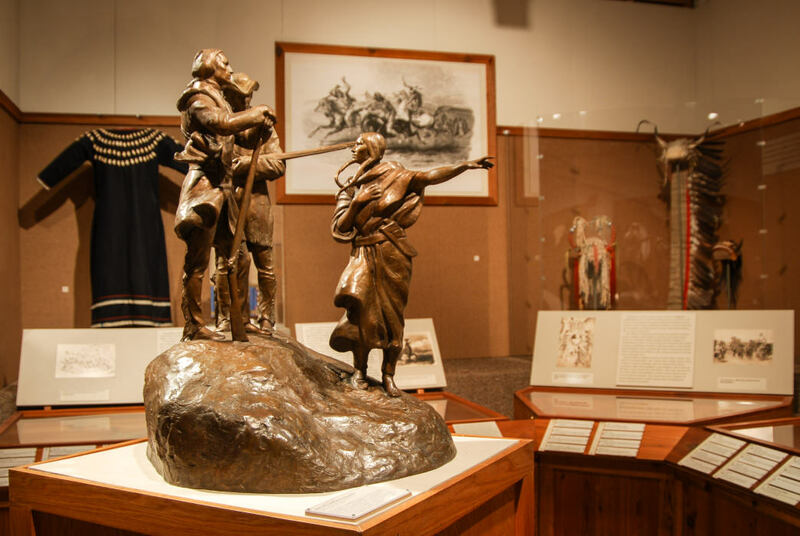 The Montana Historical Society Museum in Helena offers a glimpse into the region’s past. When in Helena, drop by the Montana State Capitol for a self-guided tour. Built in Greek neoclassical style utilizing local sandstone and granite, the Capitol building features a copper-covered dome and several stunning paintings by famed Montana cowboy artist, Charlie Russell, that make the stop worthwhile. The city is also home to Montana’s Museum at the Montana Historical Society – showcasing more than 50,000 artifacts detailing Montana’s rich culture and history – the Cathedral of St. Helena, Historic Last Chance Gulch, and the Last Chance Tour Train – a one-hour narrated tour of Montana’s history,and the Great Northern Carousel (a must-stop if you’re traveling with kids). Ever tried Frisbee golf? Helena is known as the “birthplace of disc golf in Montana” and boasts more courses than any other place in the state. Grab a few friends and head to one of the town’s 18-hole Frisbee golf courses: South Hills, Scratch Gravel Hills, Shady Scratch, Sheep Mountain, Blue Cloud, or Huckleberry Hollow. Local outdoor stores such as The Base Camp or Capital Sports can provide info on what courses are playing well at certain times of the year. For winter sports enthusiasts, the Great Divide Ski Area is just north of town. Covering more than 1,600 acres, Great Divide covers three mountain peaks and valleys, offering more than 100 trails, glades, and bowls. A terrain park offers options for skiers of all skill levels, and the friendly Backyard Beginner’s Slope allows youngsters to build confidence on the mountain. Boasting Montana’s “sunniest and longest ski season,” Great Divide is a treasure without the hectic lines of larger resorts. See the Gates of the Mountain’s stark, craggy terrain on the Missouri River. Just 20 miles north of Helena, the Gates of the Mountains is a series of breathtaking rock embankments and limestone cliffs alongside the Missouri River. Discovered in 1805 by the Lewis and Clark Expedition, the area was dubbed the “Gates of the Rocky Mountains” by Meriwether Lewis and, in the days since, has intrigued visitors with its stark, craggy terrain. 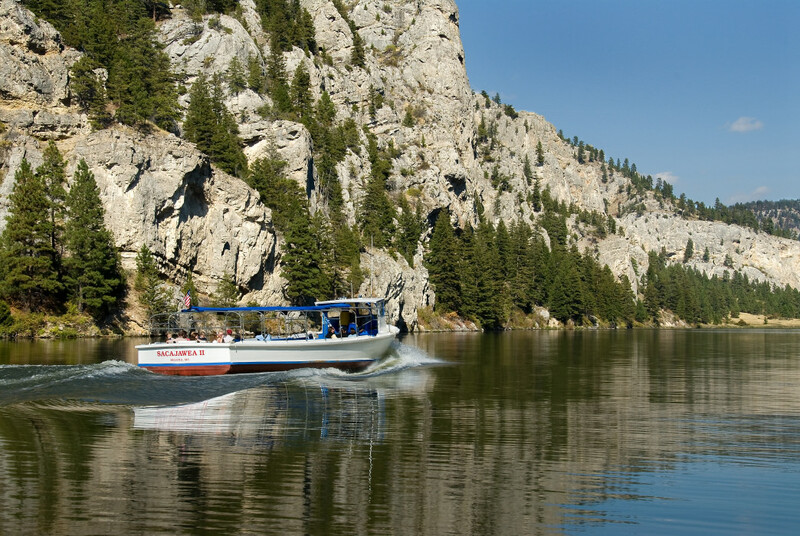 Come aboard Montana’s longest running excursion on this 2-hour guided cruise through the Gates. Watch for local wildlife such as bighorn sheep and mountain goats while learning about the area’s rich history. Helena is home to a thriving geocaching community – so much so that it has won the title “Best Small Town in America for Geocaching” by Rand McNally. Pretend you’re an old west gold miner as you track down geocaches at various historic locations in the heart of Montana’s capital city. From standard to multi-series, night and puzzle caches, over 500 caches await you in the Helena valley. After all that adventure, are you ready for a soak? Located just 10 minutes from downtown Helena, Broadwater Hot Springs features the area’s only natural hot springs. The 25,000-square-foot spa and fitness facility features multiple pools that are open for swimming and soaking year-round. An artesian well provides natural, therapeutic water that emerges from the earth at 148 to 152 degrees. The water is mixed with natural cold springs water to provide water for soaking at 89 to 104 degrees. After working out those kinks, enjoy a meal at the Springs Taproom and Grill, which offers an innovative menu that includes Montana favorites and a few surprises, plus more nearly 20 beers on tap.